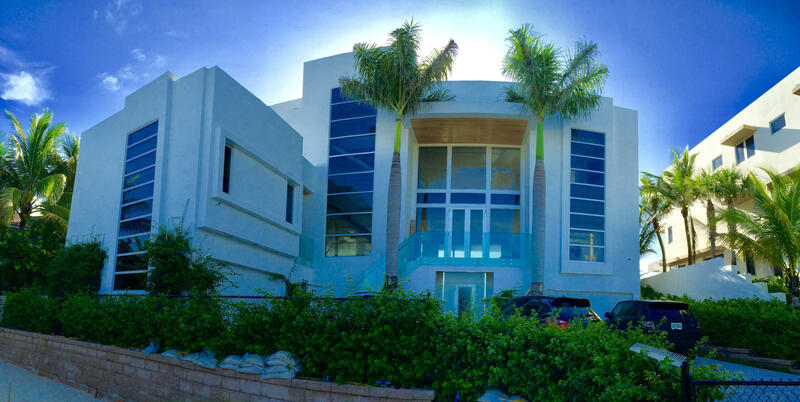 This modern masterpiece was artfully designed and skillfully built by JAG DESIGN and DEVELOPMENT.Situated high above the dune with an elevation of 22 feet, this newly built home enjoys majestic ocean views from a commanding vantage point.Interior features include five spacious Bedrooms, 6 full and 2 half bathrooms. 11,126 square feet under air, and 16,026 total square feet. All Bedrooms are ''en suite'' with spacious Bathrooms, large walk in closets, and ocean front balconies.The dramatic open floor plan features volume ceilings, a dramatic floating staircase, and outstanding ocean views thru window walls of glass.The contemporary Chef's Kitchen features an enormous ocean front breakfast room, and top of the line appliances.